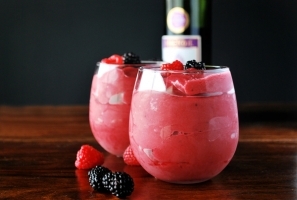 Combine Talenti's tart sorbettos with dry red wine for a juicy, lower calorie frozen sangria. Add more wine if too thick, or more sorbetto if too thin. Garnish with berries and serve immediately, or freeze for later use.